We were in Rome on three separate occasions during this trip. The first time was when we flew into Rome in the morning after an all day and night flight from Las Vegas through New York City. We were picked up at the airport by Insight Tours and driven to our hotel, the Anglo American. After a short walk around the area and lunch, we took a shower and a nap. We then met our tour guide, Ernesta, and our bus driver, Marco, and boarded our bus for a brief tour of the city followed by dinner at the Opera Restaurant. While enjoying our wood oven pizza, we were serenaded by an accordion player and female opera singer. 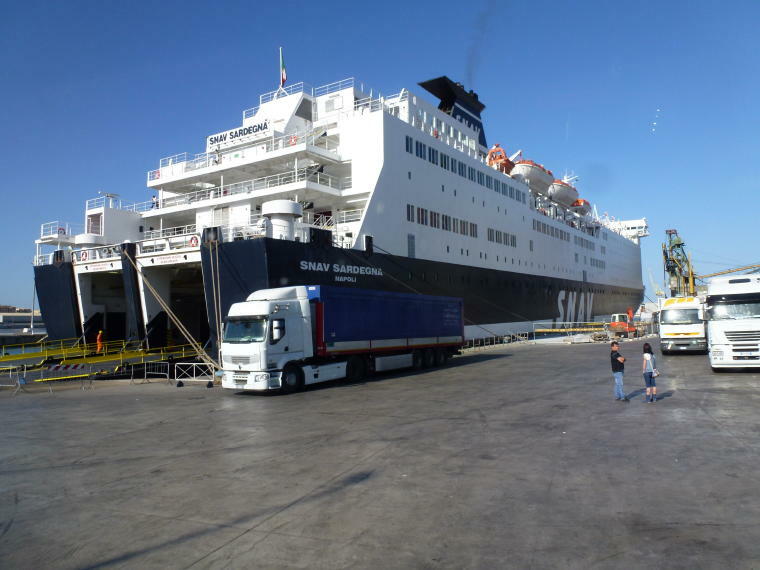 The next morning we left Rome for our tour of Southern Italy and Sicily. 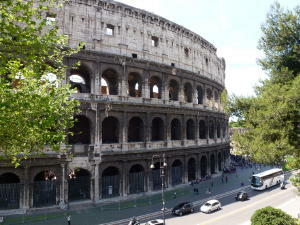 On the last day of our tour, we returned to Rome and were given a tour of the Colosseum and St. Peter's Basilica. 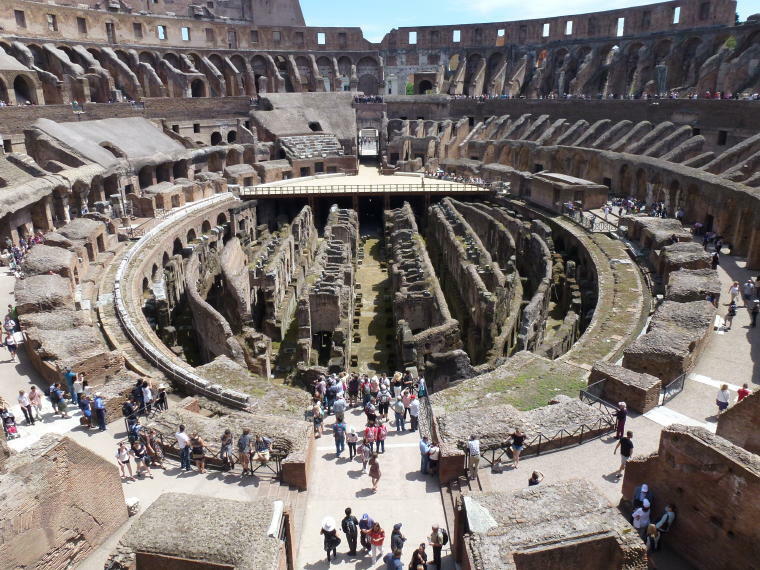 The Colosseum was built over an 8 year period starting in 72 AD. It was used to entertain the populous by holding free shows, games and gladiator fights. 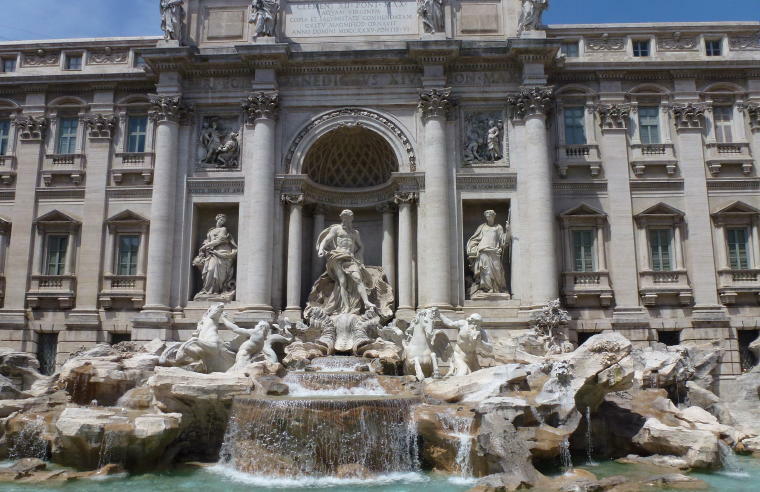 It was used until 425 AD when the government could no longer afford such extravagance. Later, many of the stones, statues and iron from the Colosseum were removed and used on other buildings (including St. Peter's). 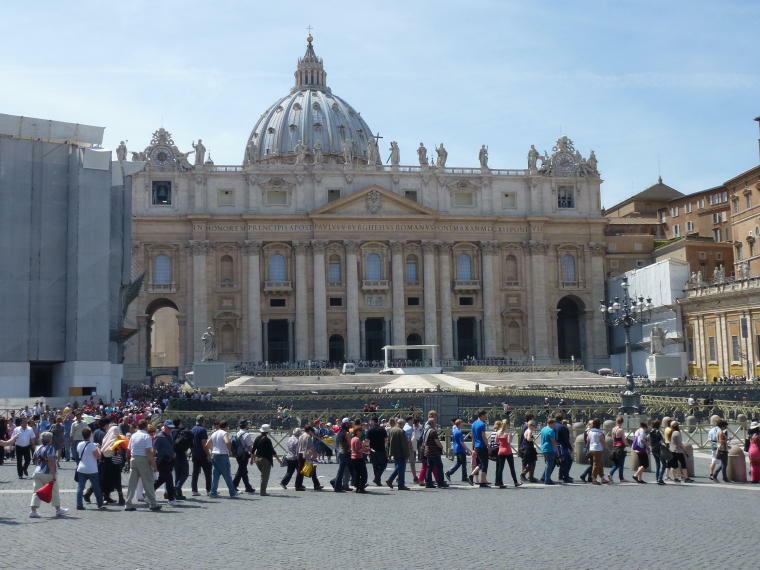 When we arrived in St. Peter's Square, we learned that we had to stand in line along with everyone else in order to visit the Basilica. At all other sites, tour groups were given special times and entrances but not here. It was a very warm day and standing in the sun for 45 minutes was not a great way to start the tour. But we had plenty of time to learn about the buildings surrounding the square. There are 140 statues that sit atop columns on both sides of the Cathedral. We saw the balcony where the Pope gives his blessing twice a year, on Christmas and Easter. We saw the Pope's bedroom window in the Apostolic Palace and the window where he gives his blessing. 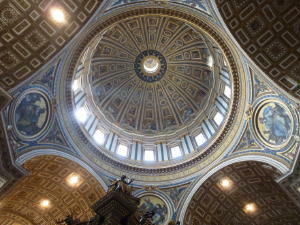 Once inside the basilica, the crowds were huge so it was hard to appreciate all the beautiful items in the Cathedral. 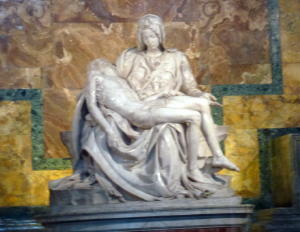 There are 122 altars inside and works of art by Bernini, Michelangelo and others. 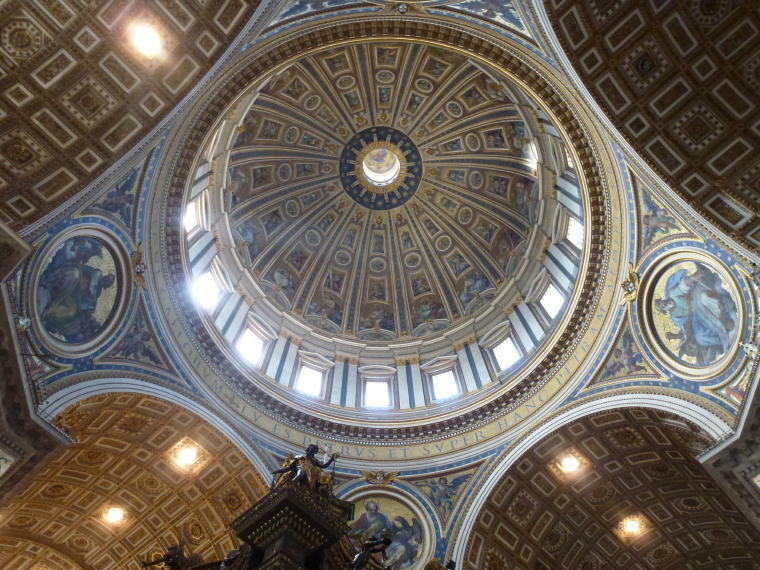 The dome is the highest in the world and the letters around it are each 7 ft. tall. 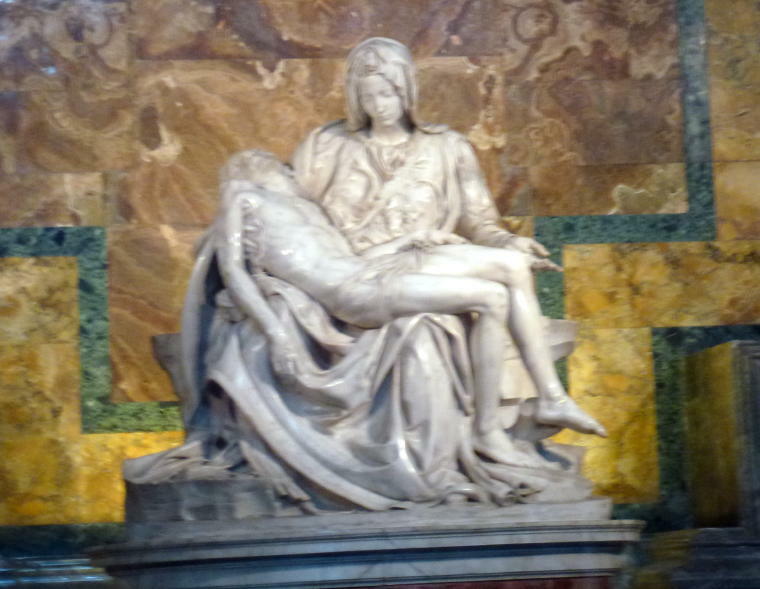 It was hard to get close enough to the Pieta to appreciate the fine detail in the sculpture that Michelangelo created when he was just 24 years old. We were so glad that we had visited here 30 years ago when there were far fewer crowds. And we were able to climb up to the dome and walk around it. 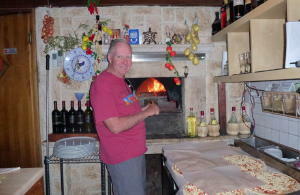 Following our tour, we extended our stay in Italy for 4 more days and left for 2 days in Florence. 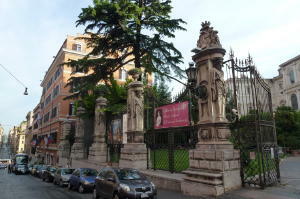 Then returned for a final visit to Rome. 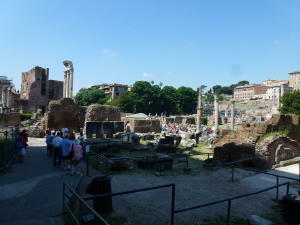 This time we visited the Forum and took a Hop On/Hop Off Bus tour around the city. During the days of the Roman Empire, the Forum was the political, religious and commercial center of Rome. The most important temples and halls of justice were here. 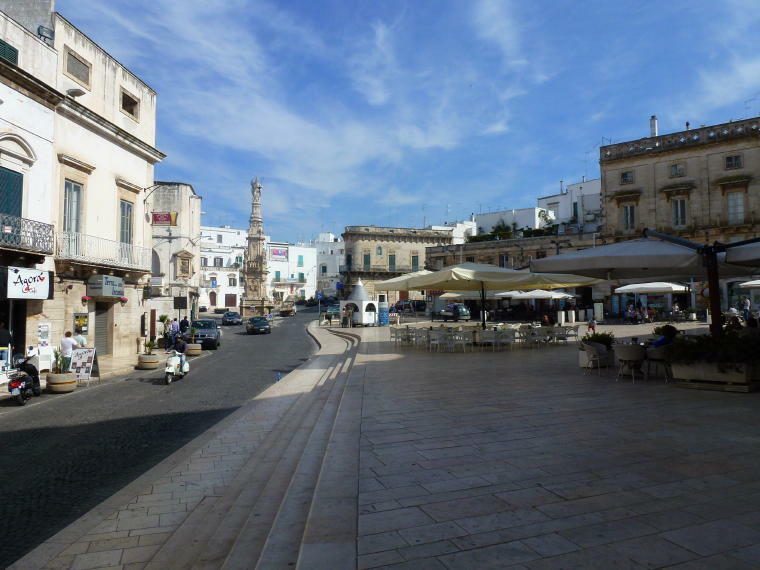 It was the site of religious processions, political demonstrations, elections, speeches and parades by conquering generals. 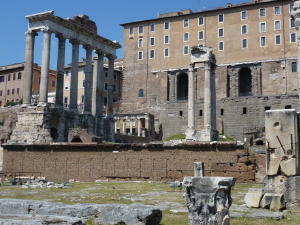 We walked through the ruins of the Forum, along Via Sacra on the same stones walked on by Caesar Augustus 2000 years ago. 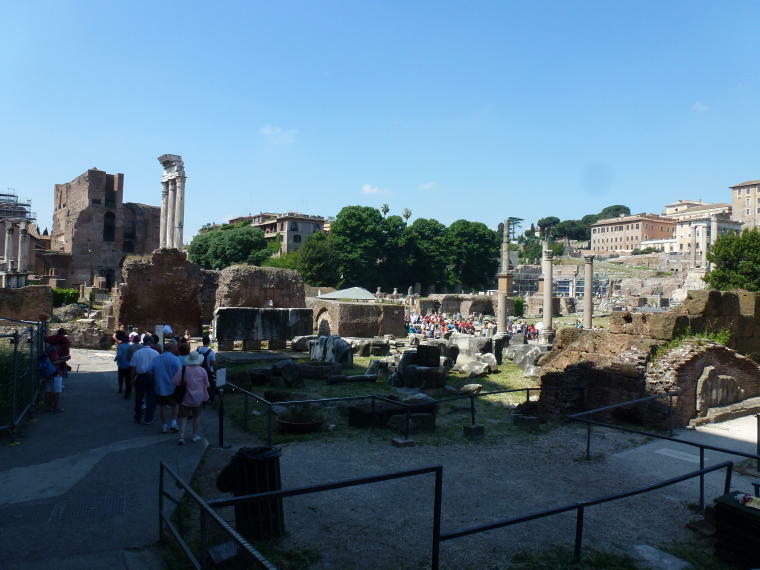 Since we didn't have a tour guide, Barbara used the tour from Rick Steves' Rome book that was on her Kindle, stopping at each structure to read about its significance. It helped make history come alive. 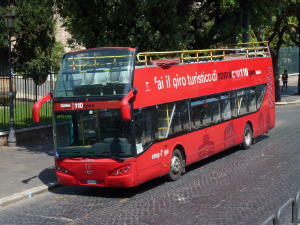 We then got on one of the many Hop On/Hop Off double decker buses that take you all around Rome. The entire route takes about 2 hours but you can get off at any of the stops along the way. We got off around the Trevi Fountain and walked over to the Spanish Steps. 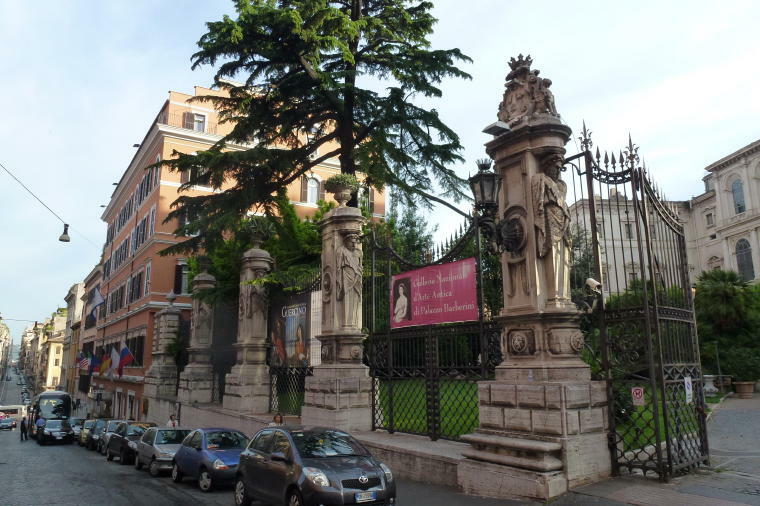 Rome has so many wonderful historic sites to visit but it is a very large, spread out city with alot of car, bus and motorcycle traffic. There is no way to see it all in the few days we were there, but we felt that we hit most of the important attractions. To view more photos from Rome, please go to the Rome Photo Galleries. Day 1 in Rome is Rome Photo Gallery I. The Colosseum and St. Peter's are in Rome Photo Gallery II. 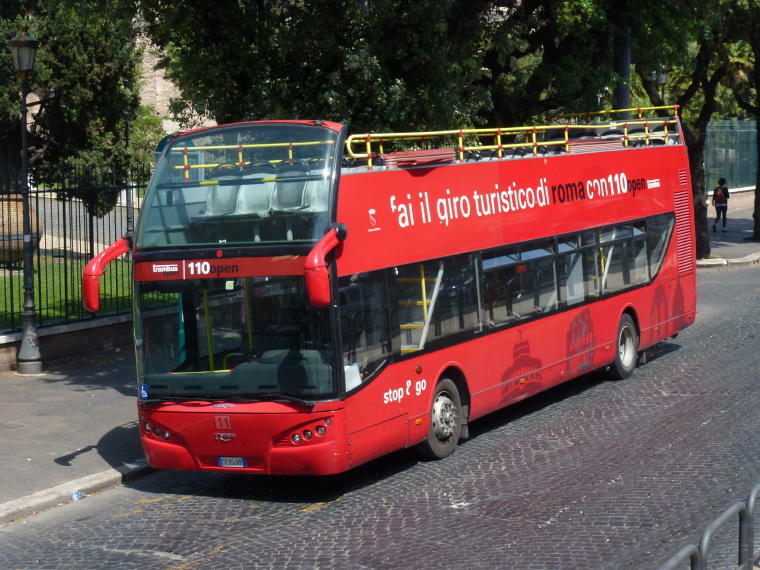 And the Forum and Bus Tour are in Rome Photo Gallery III. To read about the next location visited, go to Florence.